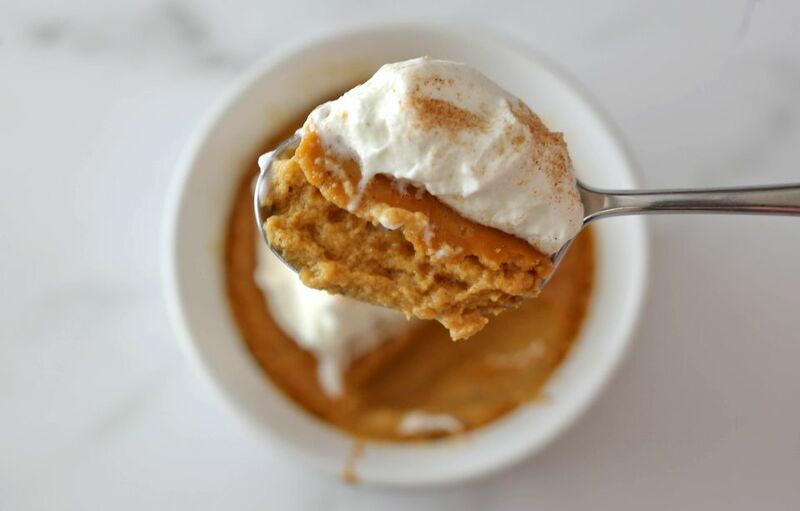 This smooth and delicious sweet potato pudding combines brown sugar and spices to make a dessert flavorful enough to follow a holiday dinner. Think sweet potato pie but a bit lighter without the crust. Serve it still warm from the oven for a fall or winter finish but don't restrict this nutritious treat to your cold-weather menus; the homey dish tastes just as delicious served chilled in the spring and summer. Use freshly cooked and mashed sweet potatoes or canned sweet potato puree. Top each serving with a dollop of freshly whipped cream or a favorite dessert topping and a light sprinkling of cinnamon sugar. Butter six 8-ounce or eight 6-ounce ramekins and place them in a larger baking dish or roasting pan. In a medium bowl with an electric hand mixer, beat the eggs until blended. In another bowl, combine the sweet potato, brown sugar, salt, cinnamon, nutmeg, ginger, and allspice. Beat well and, with the mixer on the lowest speed, gradually add the milk and vanilla; blend well. Add the beaten eggs and blend thoroughly. Fill the ramekins almost full. Place the pan with the ramekins into the preheated oven and pour about 1 inch of near-boiling water into the pan. Bake for about 40 minutes, or until the puddings set. Remove the pan from the oven and let the ramekins cool. Serve the puddings warm, at room temperature, or chilled with whipped cream or thawed frozen whipped topping and a sprinkling of cinnamon sugar, if desired. To prepare fresh sweet potatoes for the recipe, peel and slice two to three large or three to four medium sweet potatoes. Put them in a saucepan and cover them with water. Bring the pot to a boil over high heat. Cover and reduce the heat to low. Cook the sweet potatoes until tender, about 12 to 15 minutes. Drain and mash them. Alternatively, you can bake the whole sweet potatoes until soft, then scoop the flesh from the skins into a bowl and mash them. Use canned sweet potatoes if you want to cut the preparation time. You need two 15-ounce cans of pureed, mashed, or whole sweet potatoes for this recipe, but avoid those packed in syrup or with added sugar. For an effective hot water bath, also called a bain marie, allow only about an inch of space between each of the ramekins and around the edges of the pan. This keeps the ramekins from sliding and splashing water into the puddings when you take the pan out of the oven. The water should come up the ramekins about half way; you can add more hot water while they bake if necessary to keep the level consistent. If you don't have individual ramekins, you can make the pudding in a 1 1/2-quart glass or porcelain baking dish coated with cooking spray.